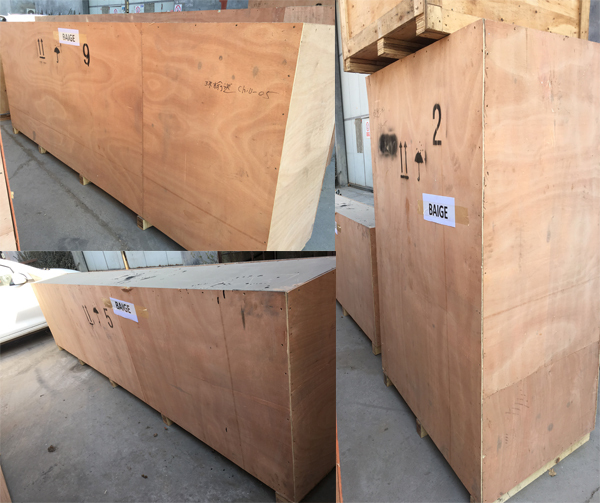 Packaging: We could supply Export Standard Wooden Case, suitable for long trip and loading & unloading. If needed, it should be extra paid for the wooden cases. 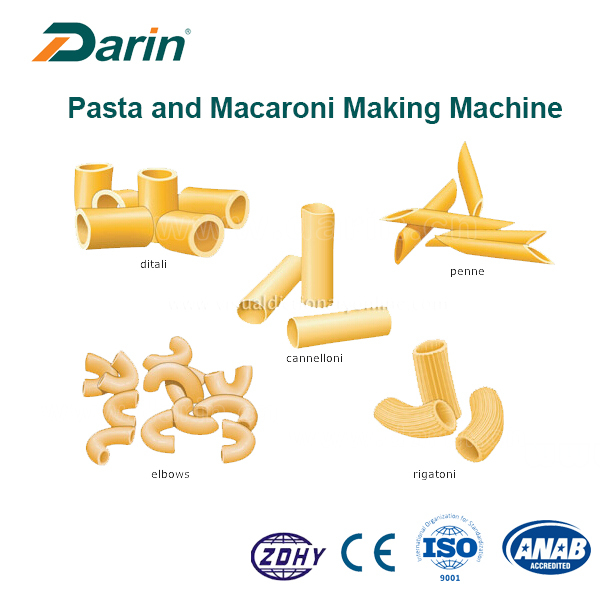 The line adopt rice flour, wheat flour, corn starch and other food additives as the main material, through mixer, single screw extrusion, dryer to produce a various of pasta in different shapes, colors. 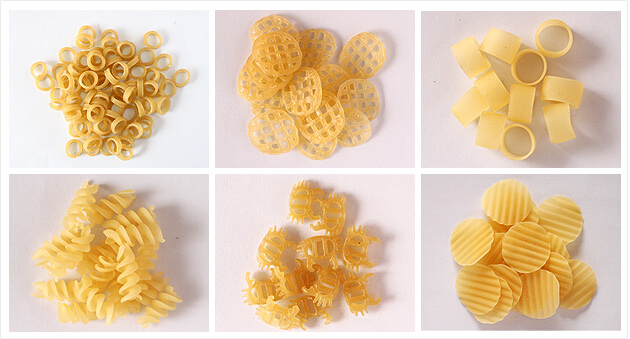 Some shapes such as crispy pea, shell, screw, wheel, tube etc which are popular in the market. 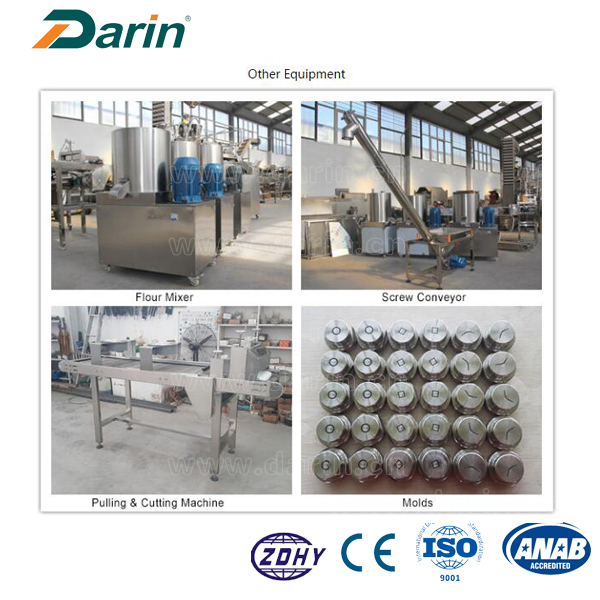 If want make tube shape, the pulling and cutting machine is also necessary. 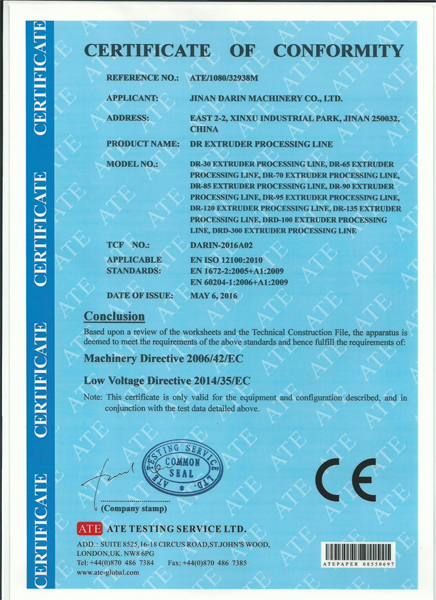 Answer:Yes,we can arrange the shipment for customer if customer require. 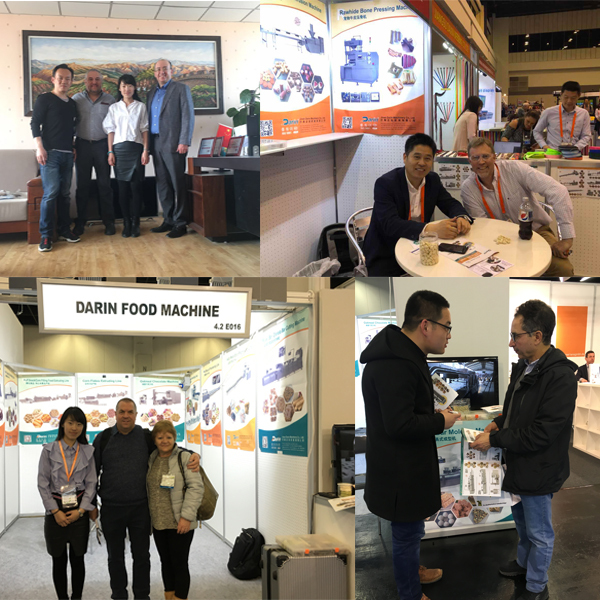 Answer:No.Our machine is not available to send sample.But we can invite customer for factory visiting,or customer can send us his product samples.For small machine parts,we can negotiate with customer and arrange shipping by air. 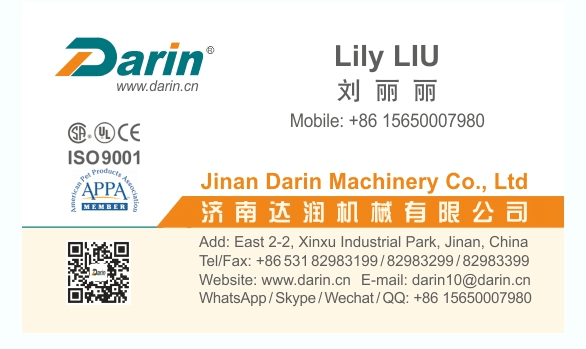 3.Question:How is your machine quality? 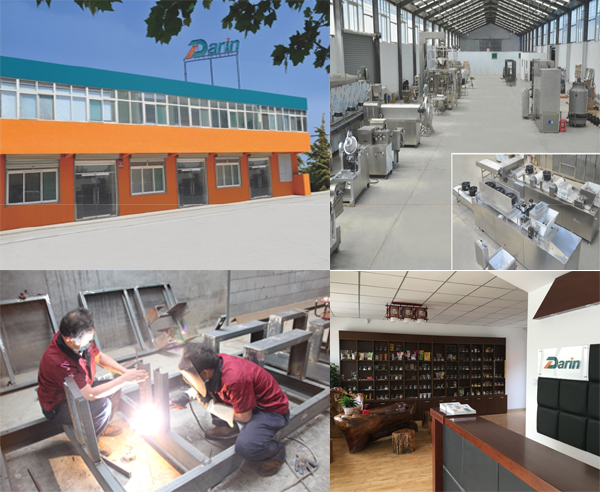 Answer:Our machine are all food grade,all parts connecting with food are stainless steel 304, configuration(electrical part,motor,transducer,etc)according to customer`s require. 4.Question:How many employee is needed for the machine? Answer:Depends on customer`s machine condition.for single machine,need 1-2 employees, for production line,need 5-8 employees or more. 5.Question:What is your delivery time? Answer:for single machine,normally within 30 days; for medium production line,normally within 45 days; for big production line,normally above 60 days. 6.Question:What is your payment term? Answer:30%T/T as down payment,70%balance paid before shipping.Or Irrevocable L/C at sight. 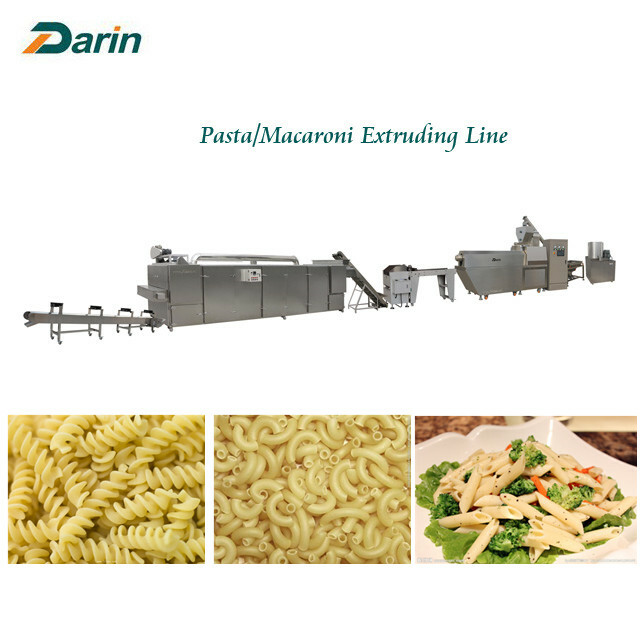 Looking for ideal Single Screw Extruder Macaroni Processing Line Manufacturer & supplier ? We have a wide selection at great prices to help you get creative. 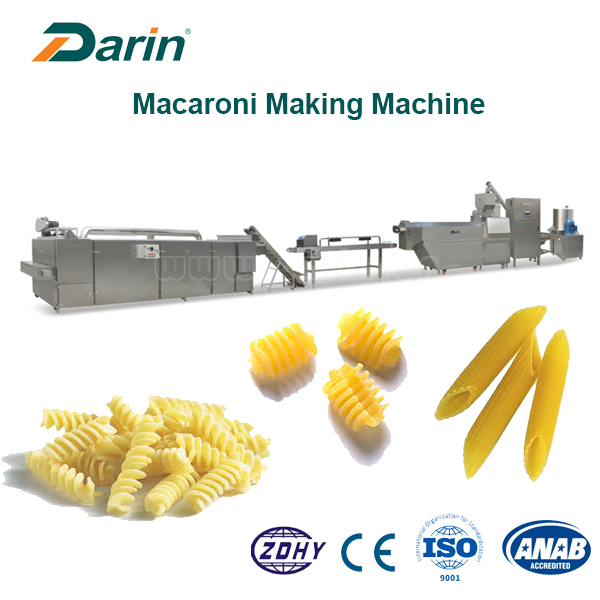 All the Automatic Pasta Extruding Line are quality guaranteed. 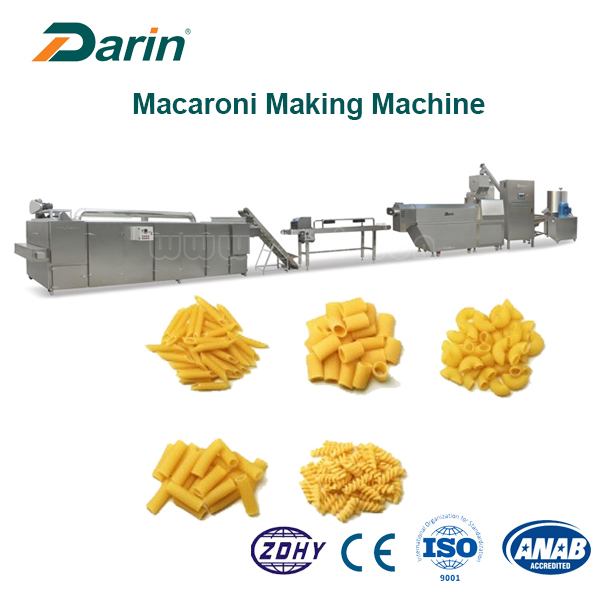 We are China Origin Factory of Macaroni and Pasta Processing Line. If you have any question, please feel free to contact us.